Quite a few newly designed buildings have gone up around Vermont in the last year, and the Vermont chapter of AIA is asking you to tell them which one you like best. Since it would be tough to visit them all, the organization has posted photos of 38 contenders on its website. It’s time for the annual People’s Choice Award. Among the choices are cool, modern guesthouses and residences, a “parklet” structure, chicken housing, a community action center, a country club and the AIAVT’s own Archistream – its converted Airstream trailer outfitted for mobile education about architecture. 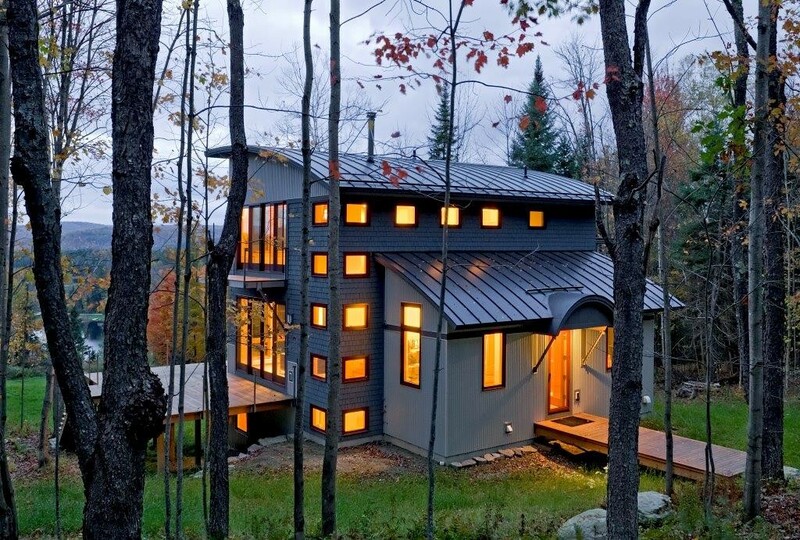 Each choice was submitted by a Vermont architect, though some of their projects are located outside the state. Voting is open through November 10. The winner will be announced at the organization’s annual meeting and design-awards program in the Statehouse in Montpelier on December 4. The question is, how to decide? Voters have only one photo per structure to go on. For reasons that may range from budgetary restrictions to architects’ desire to preserve their clients’ privacy, AIAVT gives almost no information about the structures. Architects, locations, descriptions, site plans are all omitted. This means that a lot depends on a single photo. Most of these are magazine-worthy, even architectural eye candy. But the photo of the “Farm resort in Kenya,” for example, suffers for being partly obscured by a cactus tree. Perhaps AIAVT could require architects vying for the People’s Choice Award to submit a descriptive paragraph or a brief video tour of their buildings in the future. In the meantime, though, take a look at these tantalizing photos – and vote.